Restore skin with this organic face moisturiser from Skin Blossom. Made with a blend of natural ingredients such as argan, shea butter, cocoa butta and jojoba, it has anti-ageing properties and will hydrate and protect the skin. It is free from SLS, parabens and any other harsh chemicals that can irritate the skin. 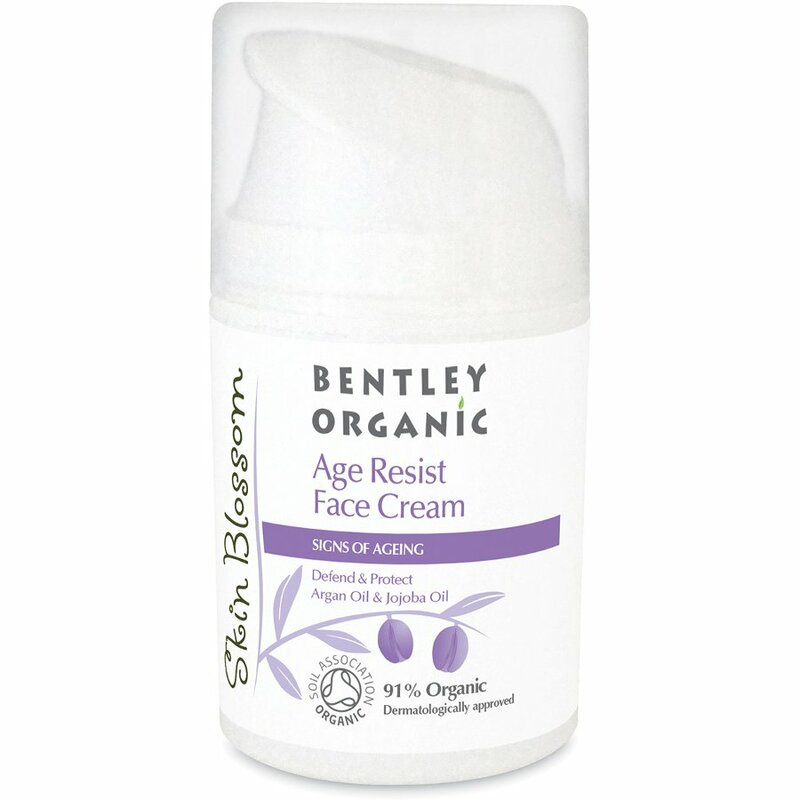 There are currently no questions to display about Bentley Organic Skin Blossom Age Resist Face Moisturiser - 50ml.